Making a stellar style statement is as simple as finding the right standout pieces for your wardrobe! To help you rack up on the best of the best, let the Shop With Us team introduce you to these sleek and edgy ’70s-inspired corduroy pants. 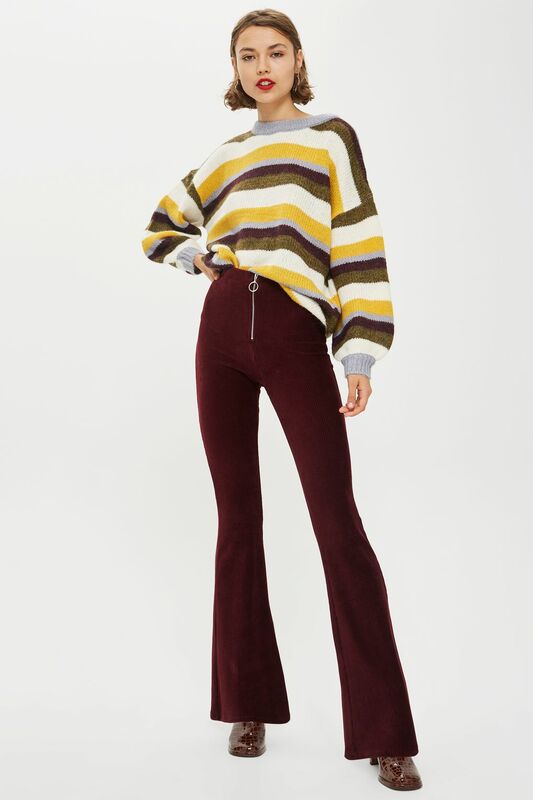 From the flared legs and the retro corduroy fabric, to the zip-up front, everything about the Topshop Zip Flare Corduroy Pants has our attention. We love how the design manages to feel like a throwback without looking dated. It’s also impossible not to swoon over how perfect the deep wine shade is for fall. See it: Get an instant wardrobe upgrade with the Topshop Zip Flare Corduroy Pants for only $55 from Nordstrom! The pants give the illusion of longer legs (score! ), so prepare to serve up major style every time you slip them on. The stretchiness of the fabric also makes the pants a comfy, shape-accentuating selection. Pair these beautiful trousers with a velvet cami for a soft, sultry look or team them with a chunky sweater. Sizes range from 2 to 14, but they run small so you’ll want to pay attention to the style guide and order one size up, as you see fit. 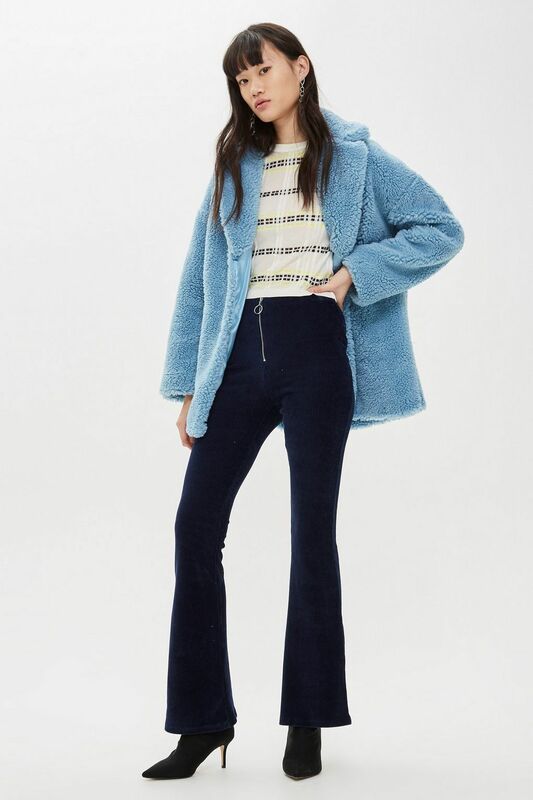 See it: Shop the Topshop Zip Flare Corduroy Pants for only $55 from Nordstrom. Also available at Topshop (in one additional blue shade) for $55!